Festive cardinals is so easy to make using a panel and border of vertical cardinals. This lovely metallic holiday wall quilt is sure to become part of your holiday traditions for years. Fabrics in kit are for the Cardinal hanging--not the ornament. Finishes to 45" x 58". 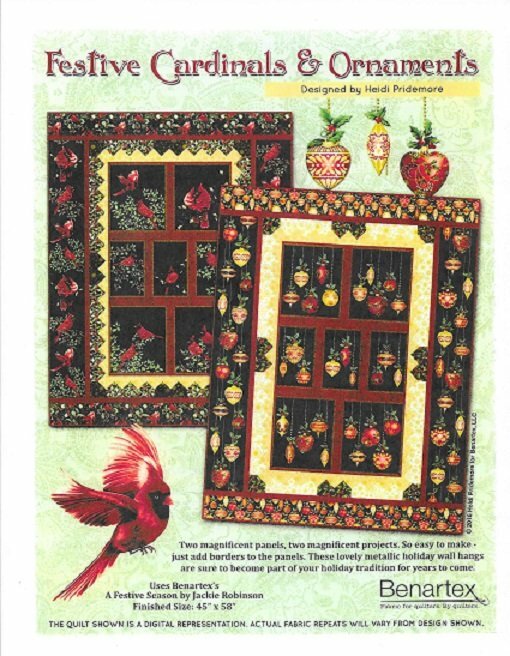 Kit includes a panel and fabrics for the pieced border and the vertical cardinals. Binding a full color pattern sheets are included.